Sugarhouse: FREE Frozen Yogurt & Cheap Millie's Burgers!! 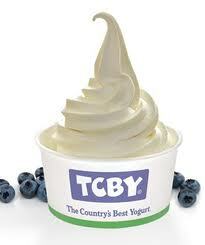 Tomorrow (Aug. 5th) is TCBY's official Grand Opening and they will be dishing out FREE yogurt all day! It will be a party all day! The ribbon cutting is at 11. Also there's a BOGO FREE coupon that is good until 8/15! You can print as many times as you want but can only use it once per visit. Thanks Vanessa & My SLC Mommy! At City Deals you can get a $20 Gift Certificate to Millie's Burgers for $9!! Have you been there??? It's a Sugarhouse treasure in my book. :) While supplies last!! Check out more deals at the City Deals Outlet.